I ran both of the command lines shown on the Ramesh Site page, and I am now able to bring up the Windows Firewall screen from control panel. But a message on the Advanced tab says that the network settings are corrupt. I tried to restore to the default settings but that did not help. When I run the command CMD /K NETSH FIREWALL RESET, it says "Could not obtain host information. (and then gives my host name). Specified module could not be found." So it appears that the firewall is running, but I cannot tell what settings are in place. We will try with reinstalling of Service Pack 3. Click Windows XP Service Pack 3, and then click Remove. Click Finish to restart the computer after the removal process is complete. Click Start, click Run, type c:\windows\$NtServicePackUninstall$\spuninst\spuninst.exe in the Open box, and then click OK. When the Windows XP Service Pack 3 Removal Wizard starts, click Next. Follow the instructions on the screen to remove Windows XP SP3. Download SP3 on following page here and then install it. See if this resolve the problem. I do not seem to have anything labeled "Windows Service Pack 3" in my list of installed programs. I then tried the second method of uninstall, and after inserting the command in the Run box, a window came up telling me it "refers to a location that is unavailable..."
Sounds like I dont have SP 3 ! I could just try to install from the link you provided, but thought I'd wait for your confirmation. Edited by john545, 06 July 2012 - 06:35 PM. ComboFix may reset a number of Internet Explorer's settings, including making Internet Explorer the default browser. Combofix prevents autorun of ALL CD, floppy and USB devices to assist with malware removal & increase security. If this is an issue or makes it difficult for you -- please tell your helper. If you are using personal certificates I recommend you to export them before running ComboFix and save them to external media. Please note: If the Microsoft Windows Recovery Console is already installed, or if you are running Vista, ComboFix will continue it's malware removal procedures. Click on Yes. ComboFix will now start scanning your computer for known infections. This procedure can take some time, so please be patient. Give it at least 20-30 minutes to finish if needed. Please do not attach the scan results from Combofix. Use copy/paste. I have been trying to figure out how to disable Security Essentials, but cannot. There is no such option when I right-click on the system tray icon. I can bring up the Security Center window from the Control Panel, but there is no way to disable MSE. It does allow me to turn off Windows firewall, and also has a note stating "Security Center in unavailable because the 'Security Center' service has not started or was stopped". I can probably uninstall MSE, run ComboFix, then reinstall MSE. But thought I'd wait for your approval before going further. I'll be out of town until Friday. To turn off MSE click on Settings tab. 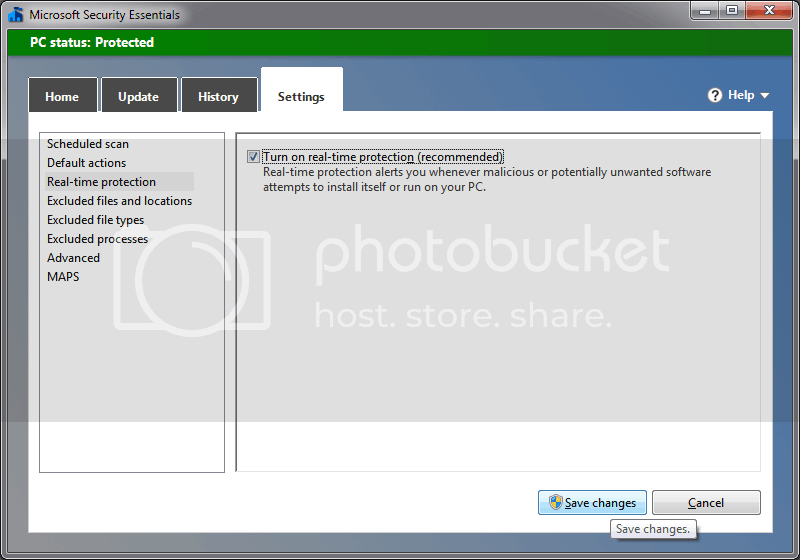 Then on the left side click on Real-time protection. Click on Save changes button to confirm changes. Ugh ! OK, sorry I missed that ! Following is the ComboFix log. I'll be out of town for a couple days. Edited by john545, 11 July 2012 - 09:34 AM. OK. I'm sorry but on Friday I'm going on a short trip and will be on-line again on Sunday afternoon CE time. So we will continue then. Had a few minutes so I ran COmboFix and added the log to my last post. Enjoy your weekend trip !! OK. Lets check vital network services. Run it by double-click on test.bat file. It will produce log file in Notepad. Select all content of Notepad window, copy and then paste it in your next reply here. We should proceed with general antimalware scan which can take quite a long time so please be patient. Ups. We already did VRT scan. Please ignore my previous post. What is interesting that Windows Firewall/Internet Connection Sharing (ICS) service is running. "Description"="Provides network address translation, addressing, name resolution and/or intrusion prevention services for a home or small office network." "DisplayName"="Windows Firewall/Internet Connection Sharing (ICS)"
Double-click Sharedaccess.reg to merge the contents of this file into the registry and to create the Windows Firewall entry. Configure the Windows Firewall settings that you want to use. I just checked and the Windows firewall seems to be running fine now. I no longer get the error message and the options are accessible. 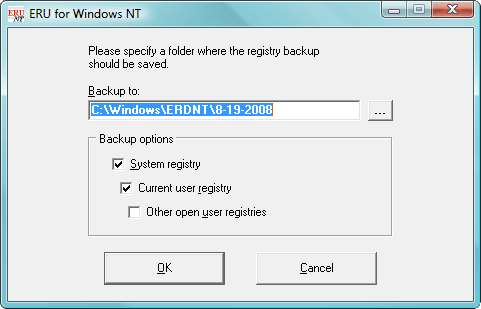 Do you still want me to go through with the registry modification ? No. If It ain't broke, don't fix it.